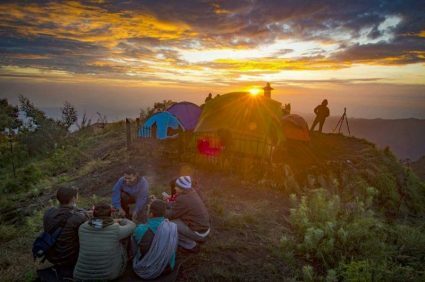 Rafting Mount Bromo Tour Packages 4 Day 3 Night is an adventure travel package that combine the natural landscape and physical strength so as to have an experience different from other tour packages. This tour packages will visit some famous tourist attractions in East Java it is Mount Bromo, Ijen Crater and the main one is rafting in Pekalen river located in Probolinggo district. This tour begins when we pick you up by our driver and guide at the Airport, Hotel, Train Station in Surabaya / Malang or place we have previously agreed upon. Our driver and guide will take you to the Mt Bromo area for about 4 hours driving by using private car depending on the participants capacity. You can stop wherever you want, talk to our driver. arrive in hotel ( check in ) and free program. 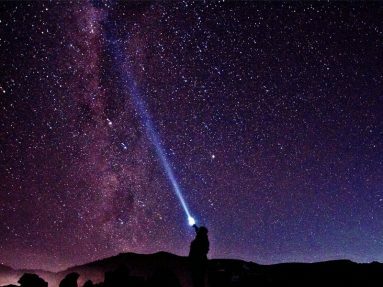 You will wake up early at 2:30 am for the preparation of the bromo sunrise tour, at 03.00 am You leave the hotel by using 4 WD Jeep Bromo to Mount Penanjakan or Kingkong hill ( view point 1 ) which is the highest peak in the region to take pictures and see the Sunrise. You will see the beauty of the sunrise with background Semeru volcano the highest mountain in Java Island and will release smoke every 20 minutes. Once satisfied with the sunrise, return to the jeep and will take you to the second location is it Bromo Crater. The parking area 1 km before crater of mount Bromo and from the parking area, you have 2 option rent a horse or walk to go to the crater, the next bromo mountain you will pass 250 steps to the lips of the crater. Enjoy seeing the phenomenon of the active volcano with the roaring and smoke coming out of the crater hole. After that back to jeep parking area, jeep will take you to the third location of the Savanah or Teletubbies hill, enjoy and take picture and continue to the last point of tour in Mount Bromo that is the whispering sand. Finally jeep will take you back to the hotel, take shower, have breakfast and packing ( check out ) from the hotel and then head to ijen area, arrive at hotel ijen area ( check in ) and free program. You will wake up early at 12.00 am to prepare for Ijen Blue fire Tour, breakfast can be taken and we leave the hotel at around 12.30 to Paltuding ( parking area ), you will be met by a local guide we prepared to guide you along the road at night during 1 half hours hike. On the top of the mountain you will enjoy the amazing natural phenomenon of the blue flame. When done with blue flame, while waiting for sunrise you will get a stunning view from various angles, namely : Lake in Ijen Crater, Mount Ranti and of course you will see many people carry sulfur on their shoulders, On average they can carry 70 kg to 120 kg per person with a salary of about 1,100 rupiah / kg not up to 1 $ a hard job. When we finish with Ijen tour, back to parkir area met with our driver and then continue the journey to hotel at Probolinggo city for about 5 hours driving, arrive in hotel ( check in ) and rest. At 7.00 am breakfast, packing ( check out ) head to Rafting base camp for about 1 hours driving, Arrive at rafting base camp break for 15 minutes enjoy welcome drink, change clothes and prepare with rafting instruction by local guide, then continue to Pekalen river for 30 minutes driving by car with local guide service that completed with rafting equipment. Arrive at Pekalen river briefing a view minutes and starting to rafting along 7, 10 or 12 kilometres with duration 3 or 4 hours until finish in sawahan area back to the base camp. Change the clothes then have lunch in the base camp restaurant and head to Surabaya for about 4 hours driving, arrive at Surabaya and tour finish.